Home » All News » Archive by category "Blog"
Small businesses face unique challenges when it comes to phone systems. Often, you’re wanting to create a comparable impression as bigger businesses but with far less in the way of two key resources: staff and funds. Luckily, telephone systems for small businesses can be flexible in cost, growth opportunities and even where you can operate. The latest in small business telephone systems is Hosted PBX. Simply put, this technology allows businesses to have sophisticated telephone systems without a large investment in telephone hardware. The best part is that you can use this system as a brand new system or with your existing telephone service. Your entire telephone system is operated and managed by your Voice over Internet Protocol (VoIP) service provider. This means you can have access to features including automated greetings, touchtone menus, hold music and more. There are many benefits to switching your small business telephone system to a Hosted PBX system. Business telephone systems have completely transformed thanks to the new technology that allows calls via the internet – VoIP (Voice over Internet Protocol). It has revolutionised how much small to medium sized businesses can pay (and save!) as well as the features available to them and how they compete with larger businesses. Understandably, many businesses are now considering VoIP for their business telephone systems. Your business telephone system is an important aspect of your business and, as with any significant business decision, there are some considerations before choosing your VoIP service providers. 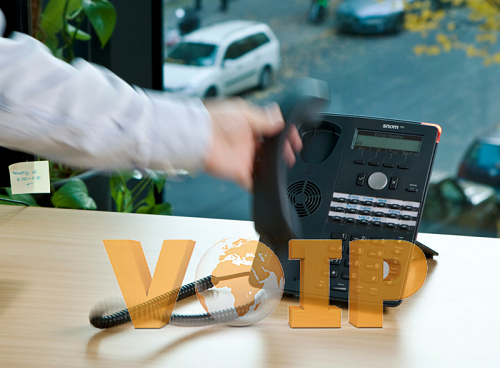 VoIP stands for Voice over Internet Protocol. This simply means that your phone system is run via your internet connection as opposed to expensive phone lines. This new technology has meant that you can enjoy the best parts of having a phone system, streamlining your communications but without expensive copper wiring. Due to its benefits, its quickly becoming the future for businesses and consumers alike. VoIP provides an inexpensive, cost-effective way for businesses to set up a phone system that can easily grow and change with their developing business. Often, a range of other features can be added for minimal cost due to the flexibility of VoIP systems.